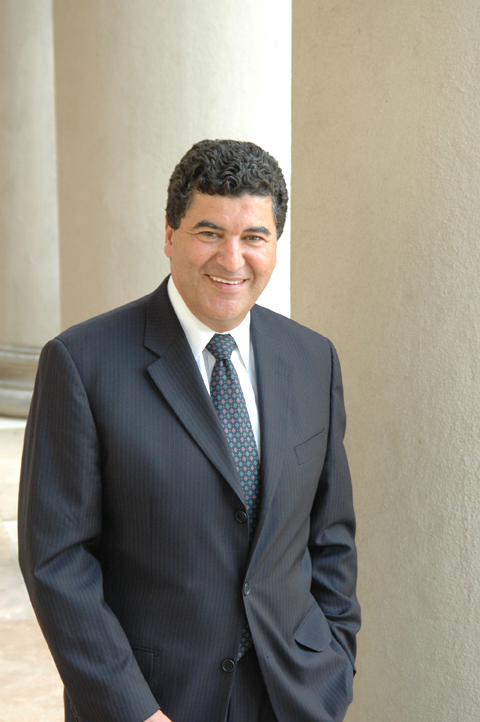 Elias A. Zerhouni, MD, Director of the National Institutes of Health (NIH) since 2002, stepped down from his position at the end of October. A physician scientist and world-renowned leader in radiology research, Dr. Zerhouni led NIH through a challenging period that required innovative solutions to transform basic and clinical research into tangible benefits for patients and their families. One of the hallmarks of his six-year tenure is the NIH Roadmap for Medical Research, launched in 2003, after extensive consultations with the scientific community. The NIH Roadmap brought together all 27 of the NIH’s institutes and centers to fund research initiatives that could have a major impact on science, but that no single institute alone could tackle. Dr. Zerhouni also initiated a 2005 ban on NIH scientists consulting for drug and medical device companies. The ban was originally unpopular among some agency scientists, but a growing number of medical schools and medical groups now follow the NIH policy on consulting. Dr. Zerhouni plans to pursue writing projects and explore other professional opportunities before accepting another position. Raynard S. Kington, MD, PhD, deputy director of NIH, will serve as the agency’s interim director. NIH is part of the US Department of Health and Human Services (HHS), and is the nation’s premiere biomedical research agency. It has more than 18,000 employees and a fiscal year 2008 budget of $29.5 billion. It supports more than 325,000 researchers at more than 3,100 institutions throughout the US and around the world. January 6, 2009 in People.